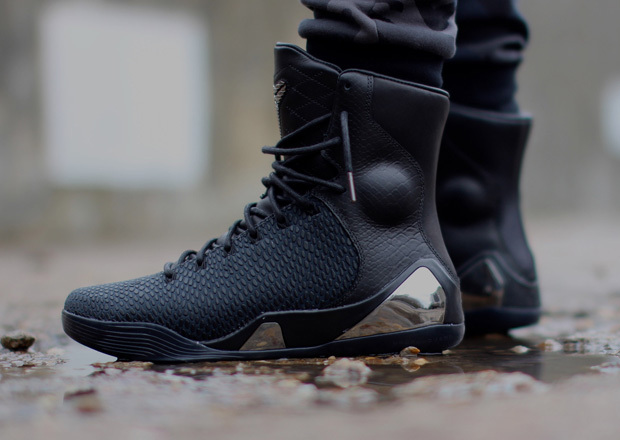 The Nike Kobe 9 High KRM EXT “Black Mamba” releases tomorrow, December 31st. 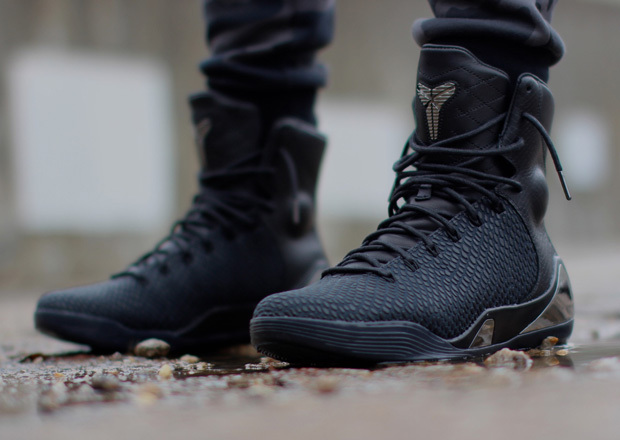 The Kobe 9 will go out on a high note this year, with a rather premium take on Kobe Bryant’s Black Mamba alter-ego. 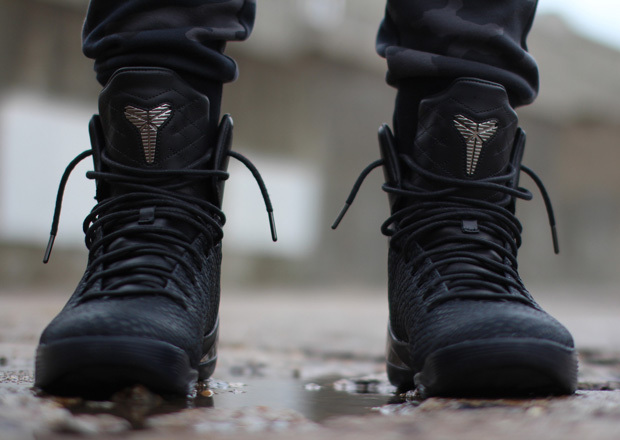 Filled with a venomous upper complete with a snakeskin texture throughout, mirrored support arrives on the midsole, while chrome detailing hits the lone Kobe branding on the leather tongue. 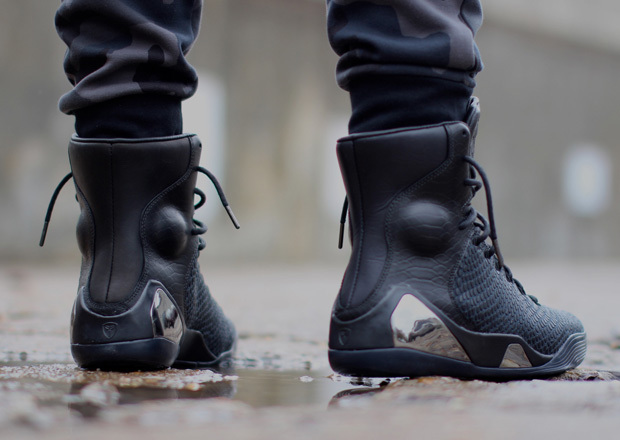 Get with us after the break for a better view of this Nike Kobe 9 KRM EXT release and secure your size today early on eBay.